H.H. Khadro Crystal Chu Rinpoche provides an extensive Feng Shui consultation ranging from the conceptual ideas of architectural design to the actual analysis of floor plans and site plans. Her in-depth consultation includes interior layout as well as the building’s exterior and it surroundings, and landscape. It also involves personal and environmental ch’i adjustments. Khadro Crystal offers Feng Shui rectifications and blessings in her consultation. She also consults and gives guidance on issues concerning urban planning, community development, land development, commercial building, factory, and residence. 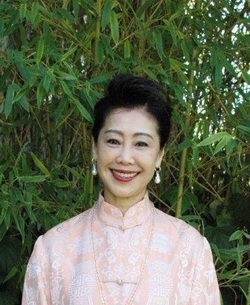 For the past three decades, H. H. Khadro Crystal has studied and travelled with her mentor and spiritual teacher, the late His Holiness Grandmaster Lin Yun, the world renowned leading authority on Feng Shui, to teach, consult and provide blessing services around the world. They have provided Feng Shui consultations to countless individuals, businesses, and industries. Retail stores and small businesses. Professionals, such as medical doctors, lawyers, CPAs, architects, designers, artists, writers, real estate brokers and engineers. In addition to offering the Two-Year Feng Shui Certification program and workshops, H.H. Khadro Crystal Chu Rinpoche would also like to share her profound Feng Shui knowledge and expertise to help individuals and organizations with Feng Shui consultations. The Feng Shui consultation aims to uplift and optimize the occupants’ ch’i (energy level) through the adjustment of their living and working environments in order to achieve success, prosperity, and overall well-being. During H.H. Khadro Crystal’s Feng Shui consultation, she will provide an in-depth analysis of the impact and relationship between one’s well-being and their living and working environments. Her Feng Shui reading includes the diagnoses of Feng Shui problems, prescriptions of remedies, personal and environmental ch’i adjustments, and blessings. For consultation appointments and fee structure, please contact Yun Lin Temple office at (510) 841-2347, or email info@yunlintemple.org.